Time to hit those schoolbooks again but first things first! First and foremost a very big thank you to all the true supporters that showed love at the second edition of Waistline Shotz “Groovy Sundayz”. 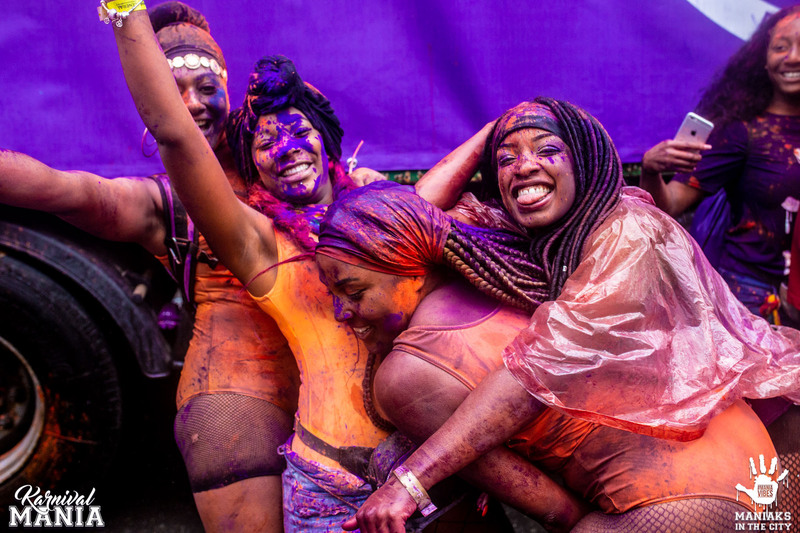 The deejays goal was to prepare fetters for Notting Hill Carnival by teaching them to drive big trucks , helping them keep up (CUKU) and other vibrating soca shots that had waistlines moving all over the dance floor. The goal was accomplished because the fetters stated, "When we dead!!! Put Jab Jab on we tombstone." The summer of 2018 was a very busy year for us at Awókey Entertainment. After years of radio shows we decided to launch the first official Sunday lime version of Waistline Shotz titled “Groovy Sundayz” right before Rotterdam Summer Carnival, then we took the second edition straight to London to team up with Karnival Mania for Maniacs in the City and Evolve at Notting Hill Carnival. No better way to have started off Rotterdam Summer Carnival with the first edition of Waistline Shotz "Groovy Sundayz" on Sunday July 22nd at Brasil Music Bar Amsterdam. The evening was officially opened with a Groovy Soca set by DJ Jizza accompanied by complementary Jell-O-Shotz. After a nice warm-up session, D' Soca Lyon took over to turn up the heat with some nice Crop Over. After a second set by DJ Jizza it was time for DJ Fiber who was also invited to come help shell down while Jizza continued hosting the event. Some official video footage has been recorded of the madness that went down at Brasil Bar which should be released next week. Waistline Shotz Taking It To The Clubs with "Groovy Sundayz"
Awókey Entertainment "A better source in entertainment" is announcing it's first edition of Waistline Shotz "Groovy Sundayz". The Ultimate Soca Lime and Afterparty on a Sunday evening. for quite some time now, allowing our listeners to enjoy a mid-week Caribbean break by tuning in to a unique selection of Soca music with a touch of Dancehall Reggae and of course we can't forget to bring it home from time to time with some cool Afrobeats.